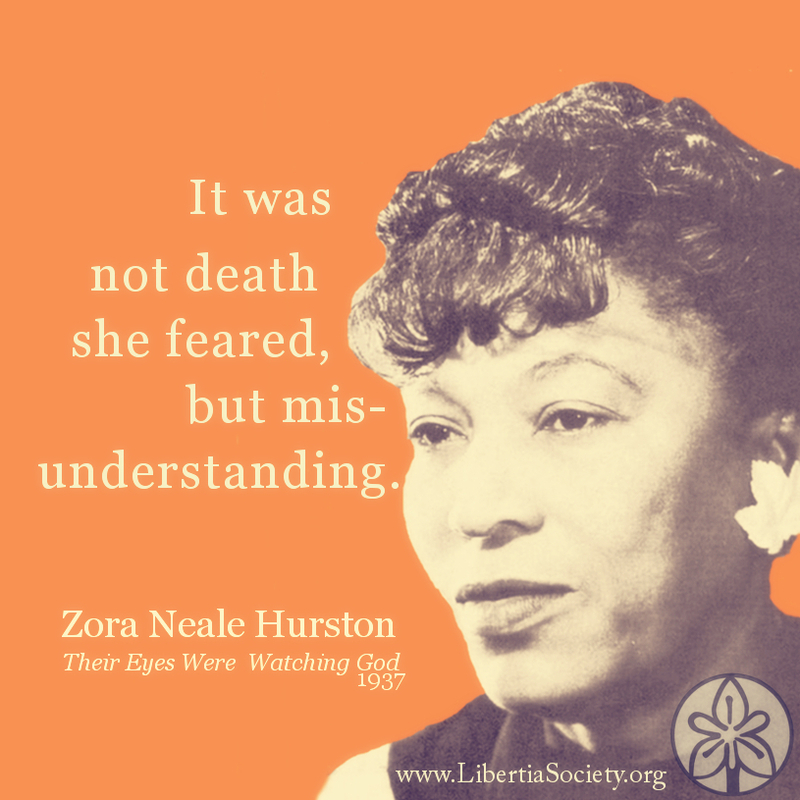 An American novelist, folklorist, anthropologist, and more, Zora Neale Hurston was a multifaceted thinker and writer. After fading into obscurity toward the end of her life, she has been re-embraced in the past few decades. Best known for her novel, Their Eyes Were Watching God, she also authored three other novels, two folklore collections, plays, short stories, essays, and an autobiography. Their Eyes Were Watching God. Her most famous (and perhaps somewhat autobiographical) work follows the life and loves of Janie Crawford in Florida in the early 20th century. Dust Tracks on a Road. Hurston’s autobiography tells her story in her own words. If you’re in the mood for digging the Library of Congress has an interesting selection of her works, many unpublished in her lifetime. A thought-provoking discussion of Hurston’s relationship to Rose Wilder Lane and Isabel Paterson by David Beito and Linda Royster Beito. Alice Walker’s article in Ms. magazine about Zora Neale Hurston (often credited for re-popularizing Hurston). What are some awesome quotes by her? He had found out that no man may make another free. Freedom was something internal. The outside were just signs and symbols of the man inside. All you could do was give the opportunity for freedom and the man himself must make his own emancipation. No, I do not weep at the world — I am too busy sharpening my oyster knife.